The Court released another anti-SLAPP decision in New Dermamed Inc. v. Sulaiman, clarifying that the onus rests on a responding party resisting a motion to dismiss its defamation claim under section 137.1 of the Courts of Justice Act not to show that there is no possibility that the defence of fair comment could succeed, but rather, that it is reasonably possible that a trier of fact could conclude that the defence would not succeed. In Benedetto v 2453912 Ontario Inc, the Court confirmed that a deposit paid under an agreement of purchase and sale by a promoter on behalf of a company to be incorporated and “with no personal liability” did not entitle the promoter to back out of the agreement and demand the deposit back, given that the vendor was innocent and the agreement was breached by the promoter. To find otherwise would have rendered the deposit meaningless. The deposit was not covered by the standard form terms of the agreement of purchase and sale, and the common law views deposits as security to encourage the performance of an agreement and as compensation to the vendor for giving up the opportunity to market the property to others and by revealing to the market the price at which the vendor was prepared to sell. In exchange, upon breach of the agreement by the purchaser, the deposit is forfeit unless the agreement clearly provides otherwise. Other topics covered this week include the enforceability of restrictive covenants where the underlying contract for service has been frustrated, and secured creditors’ rights of entry to repossess equipment. The appellant signed an agreement for purchase and sale of real property, stipulating that he was signing as a buyer “in trust for a company to be incorporated without any personal liabilities”. The appellant provided a $100,000 deposit to secure the purchase. Subsequently, he advised the vendor that he would not be closing the transaction and sought the deposit’s return. The respondent refused and brought a summary judgment motion. 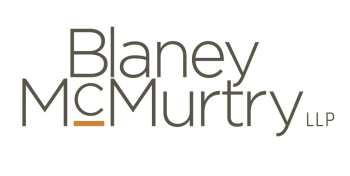 The motion judge held that the Ontario Business Corporations Act (the “Act”) provisions addressing pre-incorporation contracts did not displace the common law rules governing deposits in real estate transactions and found that the deposit was forfeited to the respondent. (1) Did the motion judge err in his contractual and statutory interpretation? (1) No, the motion judge did not err in his contractual and statutory interpretation. Where a purchaser gives a vendor a deposit to secure contract performance for a real estate purchase and sale, the deposit is forfeited if the purchaser refuses to close the transaction, unless the parties bargained to the contrary. The deposit stands as security for the purchaser’s contract performance. The forfeiture prospect provides an incentive to complete the purchase. Should the purchaser not complete, the deposit’s forfeiture compensates the vendor for the lost opportunity in having taken the property off the market in the interim and the loss in bargaining power resulting from the vendor having revealed to the market the price at which the vendor had been willing to sell. The motion judge correctly noted that: a deposit is not part of the purchase and sale contract, but “stands on its own as an ‘ancient invention of the law designed to motivate contracting parties to carry through with their bargains’, ‘something which binds the contract and guarantees its performance’, and is an ‘earnest to bind the bargain so entered into, and creates by the fear of its forfeiture a motive in the payer to perform the rest of the contract’”. A promoter may execute a contract on a company’s behalf that is intended to be incorporated later. Section 21(1) of the Act establishes the promoter’s personal liability which prevails unless either contracted out of pursuant to s 21(4) or displaced by the company’s contract adoption subsequent to its incorporation pursuant to s 21(2). Thus, the personal liability default rule is subject to an opt-out under s 21(4) where the parties make it clear that is what they have chosen. In the event of a pre-incorporation contract breach where s 21(4) applies–as in this case, where the promoter advised the vendor that he would not be completing the purchase–the vendor has no remedy for the breach. The vendor cannot obtain damages against the intended corporation because the intended corporation–if it even came into existence–did not adopt the contract. Neither can the vendor seek damages against the promoter because the vendor and the promoter contracted to the contrary. The appellant argued that under s 21(4), where a contract provides that a promoter is not bound by the contract, neither can the promoter be bound by a deposit given to secure contract performance. The motion judge did not err in rejecting this argument. A forfeited deposit stands as security for contract performance. A purchaser’s obligations under a purchase and sale contract are thus distinct from the obligation incurred by the deposit payer. A deposit’s implied term is that on the purchaser’s contract breach–or, in the case of a pre-incorporation contract, by the promoter on behalf of the intended purchaser–the deposit is forfeited to the vendor. The appellant argued that the language “without any personal liabilities” was broad enough to exclude personal liability not only for damages for contract breach, but also with respect to the deposit. It was reasonable for the motion judge to interpret the foregoing phrase in the contract’s context as a whole as not applying to the deposit. The contract had no express provisions concerning the deposit. As the motion judge correctly found, the interpretation offered by the appellant would render a deposit meaningless, providing no incentive to close the transaction, and no compensation to the vendor for failure to close. The respondent sought and obtained laser resurfacing treatment on her cheeks from the appellant. The respondent had purchased three laser skin resurfacing treatments. After receiving the first treatment, the respondent alleged that she had suffered volume loss to her face. She discontinued the laser resurfacing treatment and replaced her two remaining treatments with a micro-needling treatment. Despite being informed that volume loss is not a side effect of the laser resurfacing treatment she received, the respondent continued to insist that she had suffered volume loss as a result of the treatment. The respondent wrote and published four different reviews regarding the appellant on a webpage. In her review, the respondent complained that she had experienced volume loss and that her face looked “saggier” and had “melted off”. The second, third, and fourth reviews were revised versions of the first review. Both the second and third revisions were preceded by letters from the appellant’s lawyers complaining that the reviews were false and libelous. The letters insisted that the respondent permanently delete her comments, otherwise she would be sued. While the respondent revised her review, she did not delete it. The respondent was served with the statement of claim in this action in late November 2017. The action was brought under the simplified procedure of the Rules of Civil Procedure. The motion judge concluded that the comments made by the respondent in her reviews were expressions on a matter of public interest. The motion judge then turned to determine if the exception under s. 137.1(4), to the presumption that the action should be dismissed under s. 137.1(3), applied. The motion judge concluded that it did not because the appellant had failed to establish that the respondent’s defence of fair comment was invalid under s. 137.1(4)(a)(ii). The motion judge concluded that the proceeding had substantial merit but that the appellant had failed to establish that the defence of fair comment was invalid. On that point, he found that the reviews were comments or opinions; that there was a sufficient factual basis for the comments; that the appellant had failed to show that no person in the respondent’s circumstances could have honestly held the opinions that she expressed; and that the respondent had not made the comments out of malice. In reaching his conclusion, the motion judge interpreted the onus on the appellant under s. 137.1(4)(a)(ii) as requiring the appellant to show that the defence of fair comment could not succeed. The appellant appealed the motion judge’s decision. (1) Did the motion judge err in interpreting that the onus on the appellant under s. 137.1(4)(a)(ii) requires the appellant to show that the defence of fair comment could not succeed? (1) Yes. The onus on the appellant was not to show that there was no possibility that the defence of fair comment could succeed but, rather, just that it was reasonably possible that a trier could conclude that the defence would not succeed. To that end, the Court was satisfied that a reasonable trier of could conclude that the comments made by the respondent were matters of fact, and not merely of opinion. If a trier concluded that the respondent was making a factual assertion, then the defence of fair comment would not be available. Thus, the appellant had met its burden under s. 137.1(4)(a)(ii). The respondent owns or has a registered and perfected security interest in fitness equipment that it leased to various numbered companies (the “companies”) that operated fitness facilities in the appellant’s premises. The relevant premises were Fairview, Centennial and Wentworth (the “premises”). The respondent entered into equipment leases (the “leases”) and general security agreements (the “GSAs”) with, and the appellant leased the premises respectively, to: 337 (at Fairview); 342 (at Centennial); and 335 (at Wentworth). The appellant was also an “Additional Lessee” under the leases between the companies and the respondent, which provided that any default under them constituted default under any other agreements between the companies and the respondent, which included the GSAs. The leases went into default, which triggered default under the GSAs. The companies ceased operations. The respondent sought to repossess the equipment and its representative entered the premises and prepared inventory lists. The appellant subsequently prevented repossession. The appellant removed the equipment from the Fairview premises to an undisclosed location on its sale of that premises, and refused access to the Centennial and Upper Wentworth premises that the appellant continued to own and lease to 032. The sole principal of 032 is the neice of the appellant’s principal. The respondent initiated its application against the appellant strictly in its capacity as landlord for entry to the properties that the appellant owns or controls, and for recovery and possession of the respondent’s equipment. The application judge granted the application and his order provided for broad declaratory and other relief. The inventory lists prepared by the respondent’s representative were attached as schedules to the order. (1) Approving the respondent’s draft order without allowing the appellant the opportunity to make submissions? (2) Granting relief in the absence of interested parties to the application, and in light of the multiplicity of proceedings dealing with the same subject matter? (3) Attaching the respondent’s inventory lists as schedules to the order in the absence of proof that those lists contained the respondent’s equipment or collateral? (1) No. There was no error or procedural unfairness in the application judge’s approach to settling the terms of the order and his acceptance of the respondent’s draft order. The application judge’s order was made in conformity with the leases, GSAs and sections 62 and 67 of the Personal Property Security Act (the “Act”). The application judge clearly advised the parties that he would entertain draft orders from them and determine the draft order’s form. There was little substantive difference between the respondent’s and appellant’s draft orders. (2) No. The court disagreed that relief was granted against interested parties who were not parties to the application, and that the order affected other proceedings. The order only permits the respondent to recover equipment and collateral it owns and which it has a registered security interest. If any tenant claims that the equipment sought to be repossessed and sold by the respondent is not covered by the order, they have remedies to protect their rights and their personal property. (3) No. First, the inventory lists are necessary schedules to the order to ensure that it covers the respondent’s equipment and collateral that the appellant may have moved to other locations. The unchallenged evidence was that the appellant had moved some of the respondent’s equipment between premises that it owns or controls. Second, there was evidence in the form of the debtor companies’ former director as to what collateral was covered by the GSA and its movement between locations.The schedules were therefore necessary to give full effect to the order. The appellant-clinic (“ACT”) and its principal, S, operate methadone treatment clinics, and hired the respondent, M, to care for patients at some of those clinics. Their contract provided that M would remit 45% of her OHIP billings to ACT and contained a non-competition provision. M was assigned to work in two clinics in Hamilton and Brantford. Unbeknownst to M at the time, ACT was jointly operating clinics with another clinic (“TRC”). Later, the ACT-TRC relationship broke down, and TRC denied S access to the Hamilton and Brantford clinics. Afterwards, S established temporary competing clinics and encouraged M to join him there, but she declined. On July 10, 2015, S alleged that M had repudiated the contract. The appellants commenced an action against M alleging that she repudiated their contract and sought damages arising from the alleged repudiation, primarily for breach of the non-competition provision, as M continued to see patients at both the Hamilton and Brantford clinics. M took the position that the dissolution of the ACT-TRC relationship and S’s barring from the clinics frustrated her contract with ACT. She entered into a contract with TRC in which she agreed to pay it 33% of her OHIP billings. The trial judge found that the contract between ACT and M had been frustrated by the intervening events and, in particular, by the dissolution of the ACT-TRC relationship. The trial judge also found that, even if the contract survived the dissolution of the ACT-TRC relationship, M had not breached the contract’s terms and further that, and in any event, the appellants had not proved any damages. (1) Did the trial judge err in finding that the ACT-TRC relationship had brought about a radical change in the contractual arrangement between ACT and M? (2) Did the trial judge err in finding that M was not in breach of the non-competition provision? (3) Did the trial judge err in finding that the appellants had failed to establish damages? (4) Did the trial judge err in failing to address M’s alleged underpayment to ACT in the amount of $8,194.59 for the period prior to July 10, 2015? (1) No. The trial judge found that S, by suggesting a new plan, and by offering to substitute his own patients for patients that might not follow M to the new temporary clinics, had “implicitly accepted that the contract had been overtaken by radically changed events, and that the existing agreement had been frustrated. Indeed, the parties were faced with a new and unforeseen reality.” The trial judge explained that this effectively frustrated the non-competition provision. Frustration in law requires that there be a radical change in the nature of the parties’ contractual obligations, arising from a situation which the parties had not contemplated in contract formation. Frustration includes situations where the contract may be both physically and legally capable of being performed but would be totally different from what the parties intended were it performed after the change that has occurred. The trial judge considered whether the dissolution of the ACT-TRC relationship “radically changed” M’s obligations under the non-competition provision, and found that the non-competition provision was frustrated. This was a question of mixed fact and law and there was no extricable error of law or palpable and overriding error of fact that could warrant interference with her interpretation. The trial judge based her finding of frustration on her conclusion that the contract simply did not contemplate the dissolution of the ACT-TRC relationship, such that the contractual relationship between M and ACT had been frustrated. The trial judge indicated that M was constrained by her ethical obligations to her patients, pointed to the physician’s duty not to solicit patients, and also to the importance of continuity of care for these patients. (2) No. The trial judge expressly considered the interpretation to be given to the non-competition provision, and found that properly construed, it meant that M was not to leave the Hamilton or Brantford clinics to compete with S within 10 miles for a six-month period. She expressly rejected the appellants’ submission that it meant that M was effectively forced to follow S when he left the clinics and set up new ones nearby, and to encourage the patients she was treating at those clinics to do the same, finding that such a broad interpretation of the non-competition provision would effectively render it a personal services contract. Again, absent an extricable error of law, this interpretation was a matter of mixed fact and law, and is entitled to deference. There was no basis to interfere with the trial judge’s interpretation. (3) No. The court agreed with the appellants that they were not required to lead evidence to establish mitigation of damages. The trial judge was incorrect in suggesting that the appellants had an onus to lead mitigation evidence, and in drawing an adverse inference from their failure to do so. This does not, however, impair the trial judge’s finding that, based on the appellant’s evidence, she was unable to assess any damages. She determined that the evidence on damages was speculative and not persuasively proven. There is a difference between damages that are difficult to quantify due to their inherent nature, and those that elude quantification due to the party’s failure to lead adequate evidence. (4) Yes. Pursuant to an interpleader order issued in an ongoing action between ACT and TRC, M paid into court $22,535.12. ACT and TRC’s respective entitlement to this money is one issue in their litigation. The appellants argued that such amount represents 33% of M’s OHIP billings during the relevant period, as invoiced by TRC pursuant to their agreement with M. However, ACT’s contract with M entitled it to 45% of her OHIP billings. Thus, the appellants argued they were entitled to an additional $8,194.59. The record before the court supported the appellants’ position.